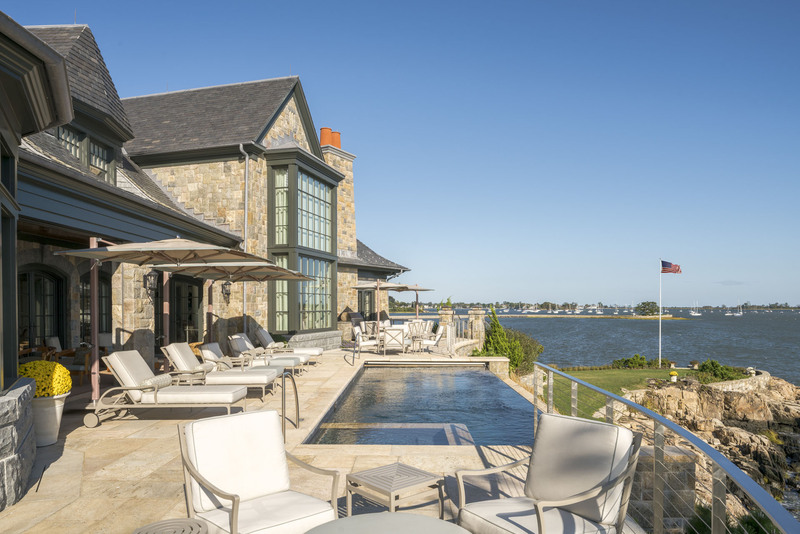 The instant you step onto the expansive stone terrace of this magnificent home, you are swept away by the 270-degree water views. 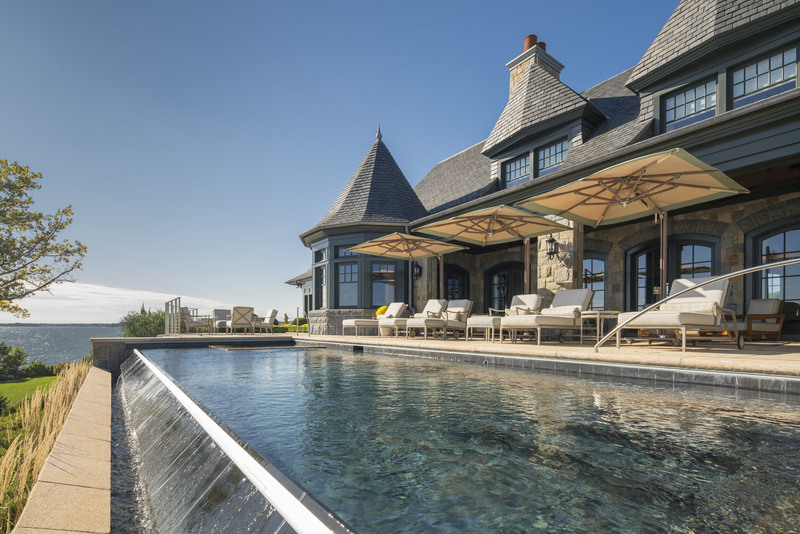 And the crown jewel of this extraordinary outdoor living area is a classically chic swimming pool and sunken spa. 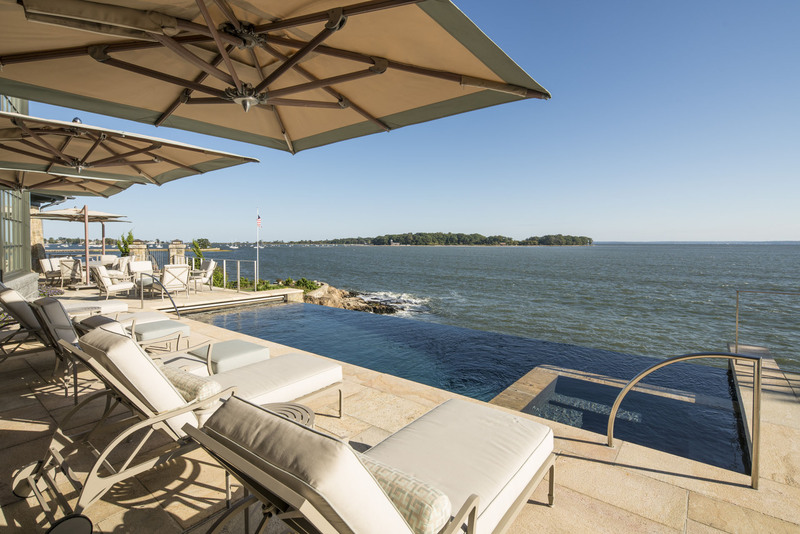 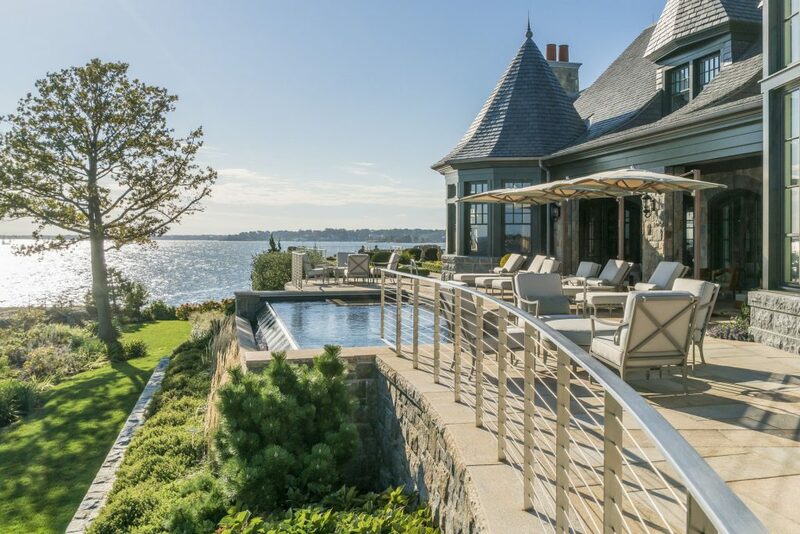 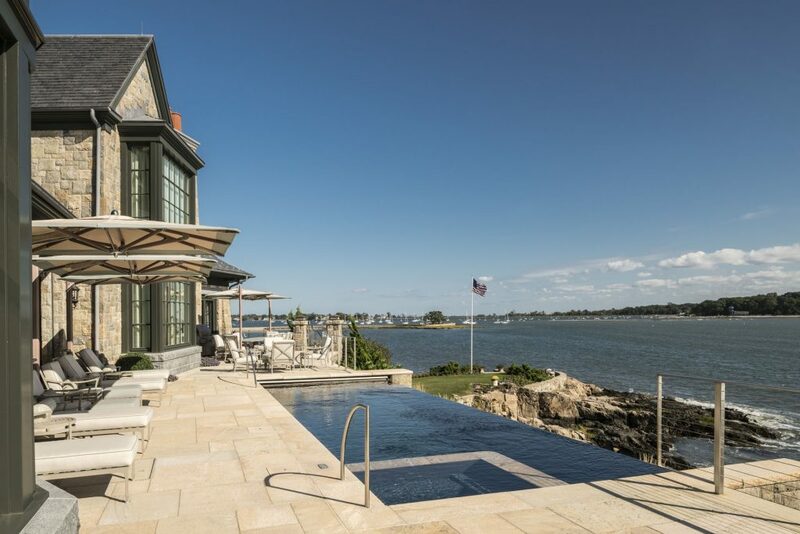 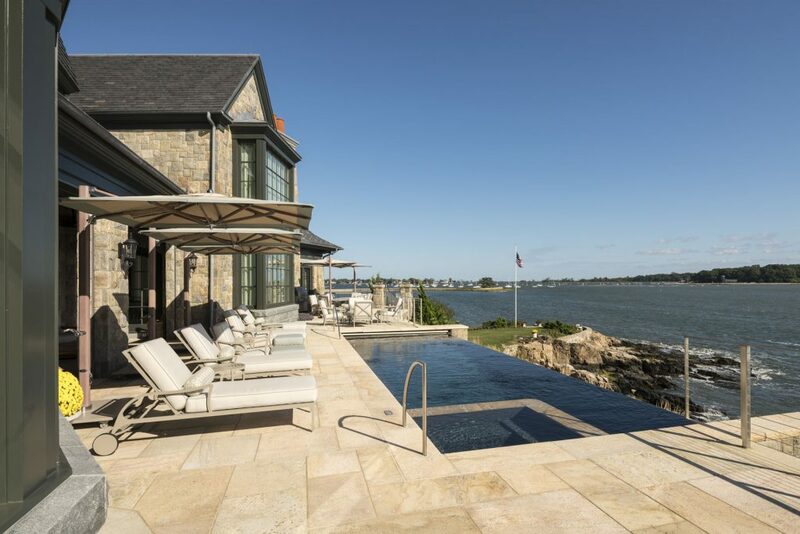 Thanks to a 30-foot vanishing edge, the deep blue water from the pool transitions seamlessly into the sparkling waters of the Long Island Sound further enhance the view. 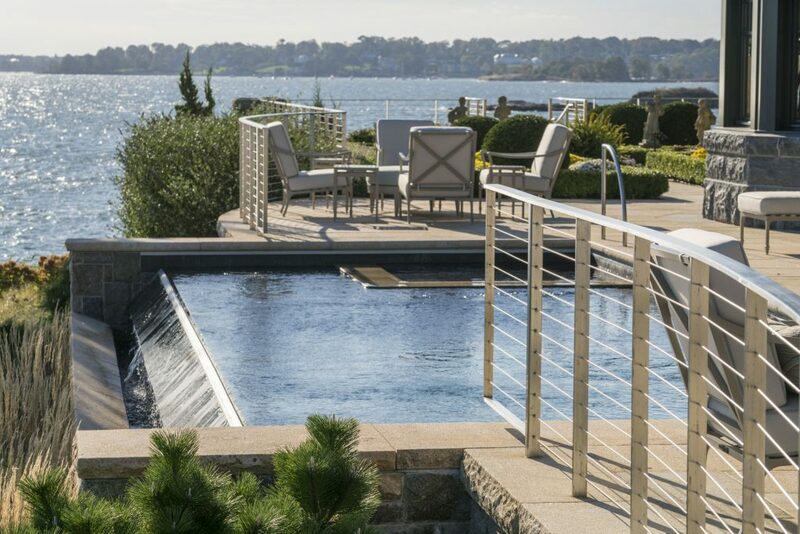 The outwardly simple swimming pool and spa feature extensive bench seating, an automatic safety cover, and an underground gutter system to collect and recycle water spilling over the vanishing edge.